Grown across tropical Southeast Asia, the durian is hailed as the "king of fruits" by fans, who liken its creamy texture and intense aroma to blue cheese. 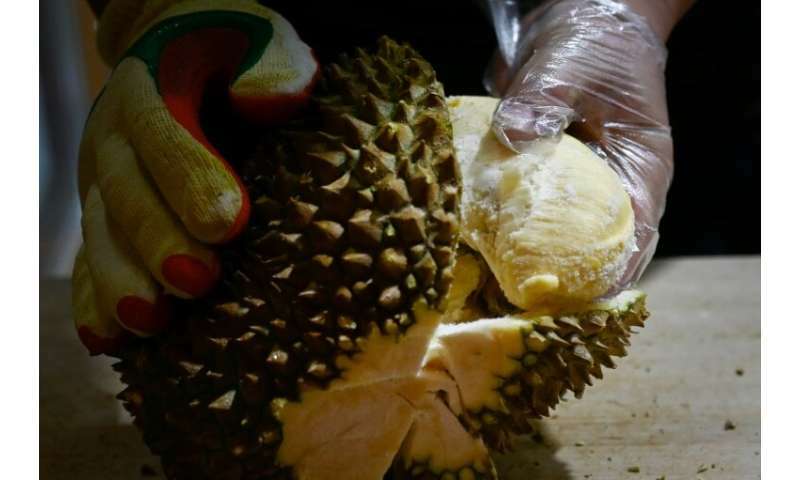 "Right now durians are gaining a lot of attention from the Chinese market," said Sophine Tann, from environmental protection group PEKA, which has studied land clearances to make way for the fruit. "This deforestation for planting of durians is in preparation to meet that demand." 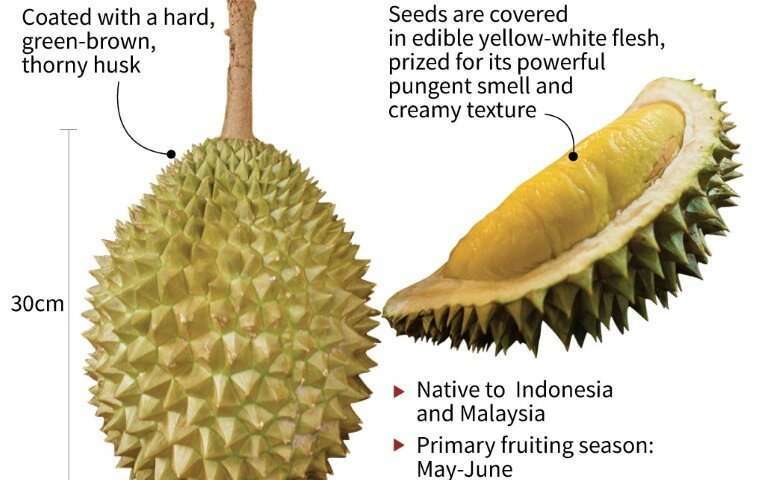 Factfile on the popular pungent Southeast Asian fruit Durian. PEKA said the land's status was changed by the local government to allow logging, but local authorities did not respond to requests for comment. In a Beijing mall some 4,000 kilometres (2,500 miles) away, a stall named "Little Fruit Captain" is doing a brisk trade selling Malaysian durians. 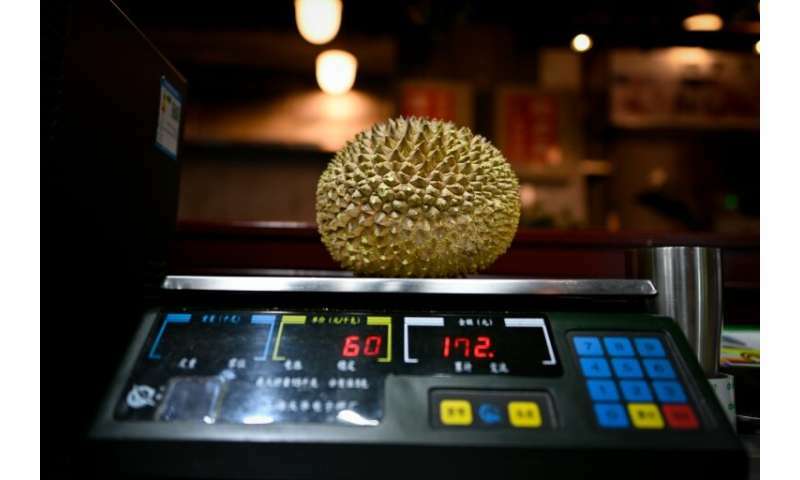 Shop manager Wang Tao said his customers "fall in love" with durians from Malaysia due to their particularly sweet taste, often preferring them to those from rival exporters, such as Thailand. He imports frozen durians from a facility in Malaysia and sells them in plastic containers or in other forms—a kind of baked dessert, in ice cream or fried up as crisps. Customers are kept up to date about the shop's stock via the WeChat messaging app. "I first tried durian as a child and acquired a taste for it," said university student Liu Zelun, who visits the shop once a week for her durian fix. "Thai durians have a stronger flavour and you tend to get sick of it after a while, but not the ones that I buy from here." The most popular variety—and one of the most expensive—is Musang King, known for its thick, golden flesh. A single Musang King was on sale at the Beijing stall for 800 yuan ($120), several times more expensive than in Malaysia. "Our customers aren't concerned about the prices, they just want the best," said Wang. The government has backed the expansion of the industry, hoping to cash in on growing demand from the world's second-biggest economy. The value of durian shipments from Malaysia to China in the first eight months of 2018 hit 7.4 million ringgit ($1.8 million), more than double the value in the same period of 2017, according to the agriculture ministry in Kuala Lumpur. "Deforestation for new areas is not encouraged," Agriculture Minister Salahuddin Ayub told AFP in a statement, adding that if trees were logged for plantations, strict environmental rules must be followed. 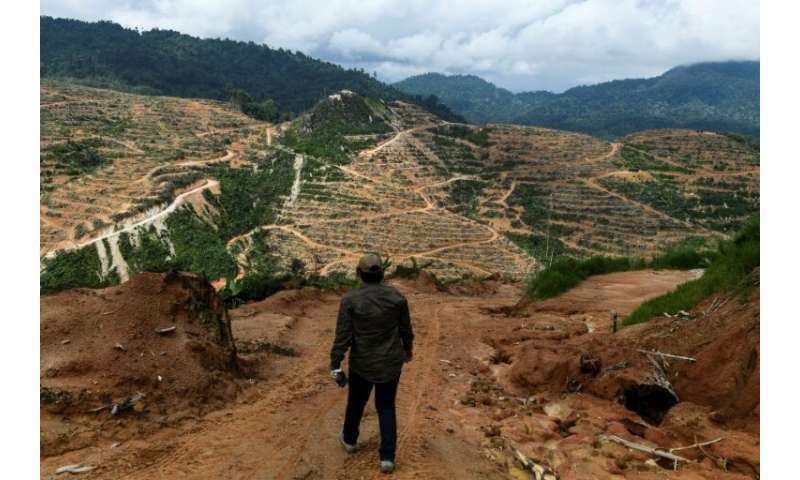 Durian cultivation is "driving yet more deforestation and biodiversity loss in Malaysia," said environmental group Rimba, warning it was leading to "destruction of critical habitat for wide-ranging animals such as tigers, elephants, primates, and hornbills."